This is a sponsored post written by me on behalf of Carmex for IZEA. All opinions are 100% mine. Ever ran out the door cringing because you know you look like you just woke up? Check out our 5 tips for looking your best on quick mornings. I’ve never been, nor likely will ever be, a morning person. Most days I wish I could totally get by with going to bed at 3 am and rolling out of bed around 11 am. But, I know that’s sadly not practical. So, I tend to finally get up at the last possible minute instead, which leads to some creatively quick mornings. As such, I’ve had years of practice of what works best for those super quick mornings you need to get out the door, but don’t want to look like it. Sometimes we oversleep, we’re called into work early, or the kids are being a bit bratty to get out the door themselves. 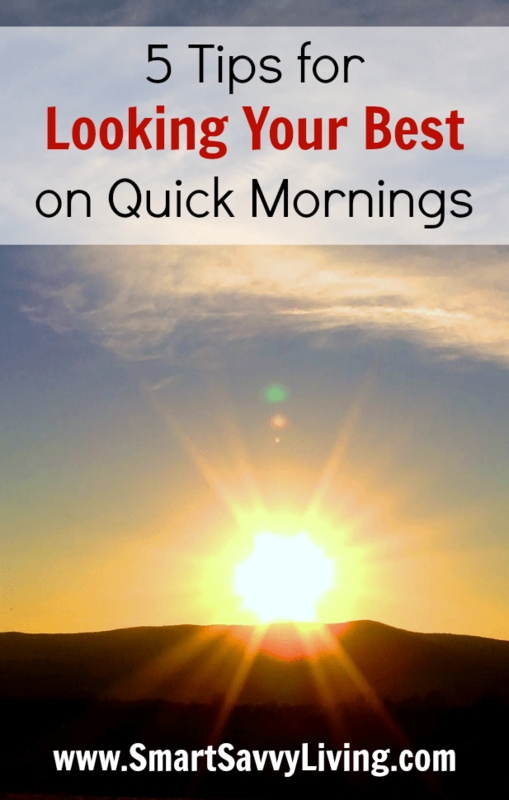 So, today I thought I’d share my 5 tips for looking your best on quick mornings. Some of these might surprise you, but I’m a firm believer in you look as good as you feel because being grouchy doesn’t look good on anyone! 1. Take a shower the night before. I can usually take a pretty quick shower, but washing my hair gets me into time trouble. Since I have long, thick hair, it can take over an hour to shampoo, condition, dry and style. As such, I like to take a shower the night before to wash my hair so that’s one less thing I have to worry about in the morning. During the summer when it’s super hot and humid here, I do usually like to take a quick morning shower, but I at least don’t have to worry about my hair. My go-to hairstyle for those super quick mornings is a ponytail. A low ponytail, or one with a partial braid is a quick adult style that also looks great! 2. Have your clothes and accessories together before you go to bed. One of my biggest hangups for getting out the door quickly in the morning is what I’m going to wear. Around the house, I keep it pretty casual, but when I’m going out, I like to look put together to have good first impressions and also more confidence. During the rush of the morning I might think something I was planning on wearing was clean, but isn’t, needs to be ironed, or I just can’t find that one specific shirt. So, it helps me save a ton of time to have my outfit that I want to wear laid out and ready to go. Don’t forget to get your shoes, jewelry, and other accessories too if you happen to leave them around the house like I do and then spend 5 minutes trying to remember where you left them. Oops. 3. Hydrate first thing. Many of us reach for caffeine-filled coffee, tea or soda first thing in the morning to get us going, and I totally get it. I usually have one, if not all 3, in my morning, but I always reach for pure water first for several reasons. Caffeine products can actually dehydrate you while the hydration of water helps keep your skin looking great and helps make you more alert, especially if you’re dehydrated overnight. Plus, I tend to like a good bit of sweetener in my coffee and tea, which often leads to a sugar high and painful fall around mid-morning. 4. Have breakfast ready to go. It seems like just about every week I pledge to actually start eating breakfast everyday because when I do have breakfast, I feel better and more ready to tackle the day. By Wednesday, the pledge has usually already failed unless I have breakfast ready to go. For mornings I want something cold, I have a box of cereal or granola placed by a couple bowls with spoons. If I want something hot, I have something like mini frittatas that I made over the weekend that just need to be warmed up. Since I’m not a huge breakfast person, I sometimes just plain forget and try to keep a few granola bars stashed in my purse for those days. 5. 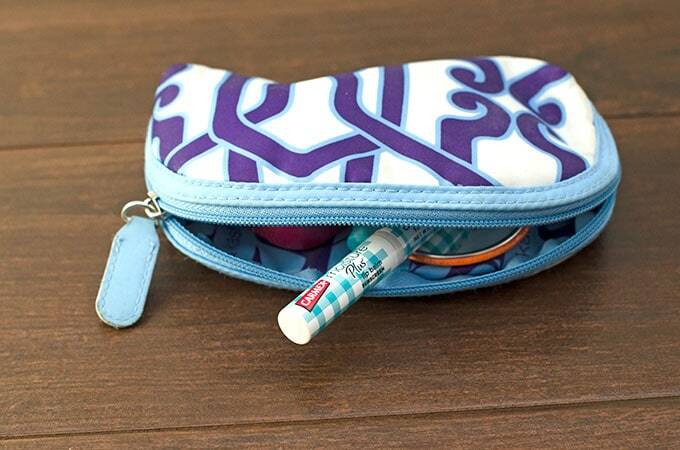 Keep a few quickly applied products that make you feel great in your purse’s makeup bag. I’m honestly not much of a makeup wearer, but I think we all have a few favorite products that help us feel and look our best. Mine are simple things like having floss (to make sure nothing is stuck in my teeth), mascara, and a couple stylish lip balms like Carmex Moisture Plus. Did you know that Carmex has been manufacturing its original lip balm in those iconic yellow lidded jars since 1937? If a product has been around that long, you know it has to be good! However, those jars are admittedly not the most stylish things to carry around in your purse. 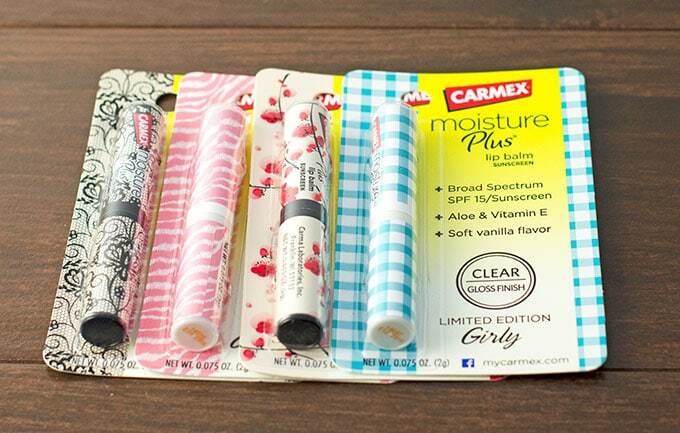 Thankfully, Carmex Moisture Plus lip balms now come in some awesomely stylish packaging, with new designs released each season. 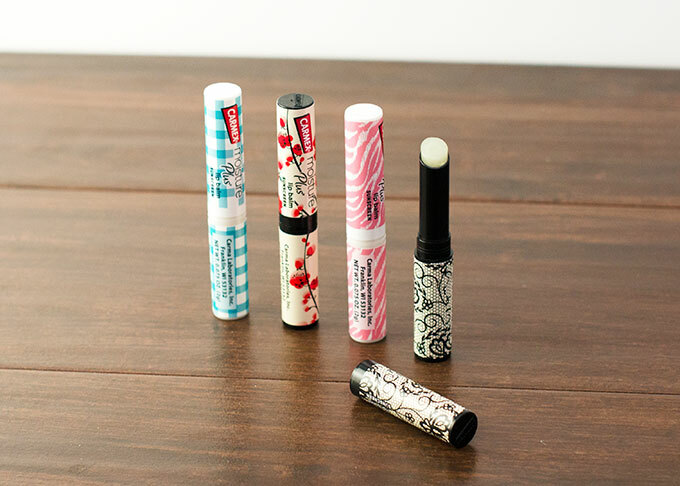 I always have one stashed in my purse and around the house because they give my lips a moisture-filled look that helps me look awake on those quick mornings (dry lips, not so attractive), while also providing protection from the sun. Plus, since I don’t have to worry about color smudges, it literally takes 2 seconds to put on before I leave the house or walk in the door of where I need to be. Be sure to visit the Carmex site to find more lip and skin care tips, along with where to buy Carmex Moisture Plus near you! What are some of your best tips for looking your best on quick mornings?